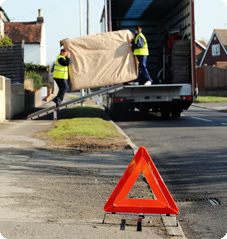 The following list of hints and tips is provided to help you make your removal run as smoothly as possible. It is well known that moving home is one of the most stressful events that any of us undertake. Express Removals are committed to making the experience as painless as possible. 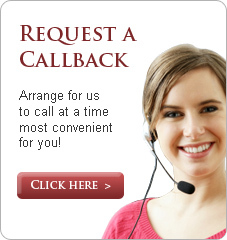 Firstly, you will want us to visit and give an estimate. This will be carried out at a time and date that is convenient to you. Please make sure that you show our representative the whole of your home including any items stored in your attic, garage and any other outhouses. If any items are not to be included in the removal, please make special mention of these. You may want to use our packing service or need a supply of cartons or packing cases. You should mention this at the time, and also any special requirements that you may have. If you accept our price, then a firm booking will be made for the removal. If you have decided to do your own packing, please follow the guidelines listed below. This will help you and our removal team to make a smooth and successful move. All non-essential items should be packed securely and stored in a safe place. Please ensure that you do not over-fill cartons; a large carton filled with heavy items such as books will be difficult to lift and the carton will almost certainly break under the strain. Cartons should be clearly labelled with their final destination within your new home. Extra care should be taken with glassware, ornaments and other delicate items. Wrap individual pieces in soft paper (kitchen towel is ideal) and then pack securely in newspaper. Mark the containers "Fragile". Any self-assembly furniture should be dismantled ready for removal. Take down any fixtures such as wall cabinets, mirrors, and curtain tracks and ensure that there are no protruding screws or other fixings that could cause injury. Leave any clothing on hangers until the day of the move. We will provide hanging rails for these items. All other clothing can be packed into cartons. The contents of attics should be packed and stored in any convenient room prior to removal. You should make separate arrangements for the removal of any hazardous or inflammable substances - we do not have insurance cover for such materials. Any other liquids should be securely sealed in suitable containers. Don't forget to make arrangements for your pets. Ideally, they should be off the premises before the move begins. Cats in particular can be greatly distressed by a move and may need a sedative. You can obtain this from your veterinary surgery. If you are using our storage service please ensure that you do not leave any personal documents or any other items that you will require in furniture, cartons or boxes. Any appliances containing water such as washing machines, fridges or freezers should be completely drained and allowed to dry before removal. Below is a checklist of organisations, authorities and individuals that you will need to notify of your removal, if possible well before the day. It is essential that our removal team be given clear access to and from the doorway of your home. We would advise that you notify your neighbours well in advance of the removal so that parked vehicles can be moved just before our team arrives. Any passageways or staircases should be left completely clear to minimise the possibility of accidents. Unmake beds, fold the bedding and leave it stacked on the beds. All appliances should be disconnected prior to the arrival of our team. Please note that we cannot take responsibility for disconnecting items such as cookers and heaters; neither can we disconnect or reconnect any mains services. Washing machines should be drained of all water and the drum secured with the appropriate brackets. Fridges and freezers should be emptied and washed with a strong solution of bicarbonate of soda. Food should be removed from cupboards and packed securely. Please make sure that all screw caps and seals are secure. Finally, let us assure you that we will do everything possible to ensure a smooth and successful removal. If you have any unexpected problems before the removal day please don't hesitate to contact us - we are only a phone call away.